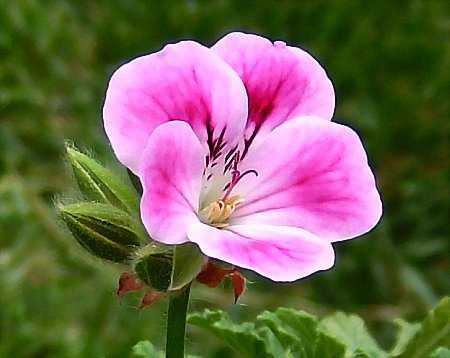 Mexican Sage geranium is a large-growing member of the Apricot group. Its scent is kind of spicy. The flowers are about an inch across.